The Center for Ambulatory Surgery at Hackensack University Medical Center is a state-of-the-art facility dedicated to providing you with innovative care in a welcoming, caring environment. The Center empowers people to enjoy same-day surgical care and recover safely and comfortably in their own home. 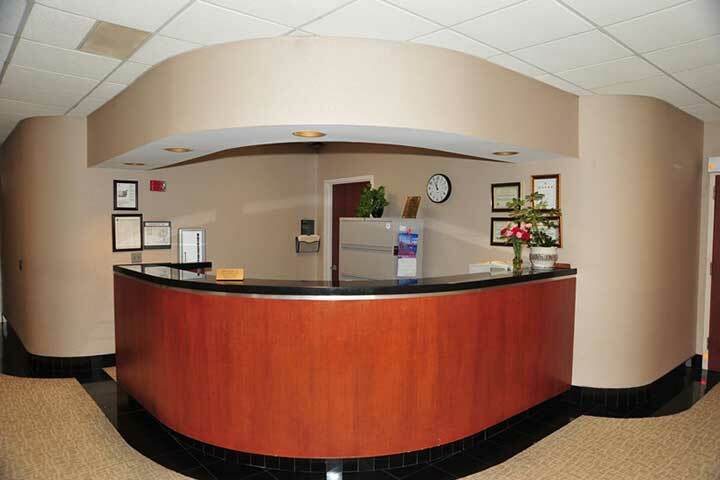 It is the most comprehensive ambulatory facility in New Jersey and one of the largest in the country. The CAS occupies the entire third floor of the Hackensack University Medical Plaza building. Outpatient surgery is growing in popularity for a variety of reasons. Minimally-invasive surgical techniques, convenient scheduling and overall value all contribute to the selection of same day surgery as a preferred medical option. In fact, according to the National Health Statistics Report, nearly 34 million outpatient surgical procedures are performed in the United States each year. At Hackensack University Medical Center, we are constantly pushing to find new treatments and new solutions to patient problems, and our Ambulatory Unit is a great example of our commitment to innovation. The 36,000 square foot Center welcomes you and your family members into a comfortable and relaxing waiting area with seating for 80. Features of the Center include ten surgical suites, 34 pre-surgery and secondary recovery areas, a 14-bed recovery area, and two minor procedure rooms—all equipped with the latest technology. Every functional aspect of the facility is interconnected digitally to Hackensack’s electronic medical records system. All of the operating rooms are equipped for minimally-invasive surgery, including three equipment arms with flat screens and video monitors. The Center for Ambulatory Surgery also has voice-activated equipment and robotic arms that can be controlled by the physician, and offers the latest in equipment and laser technology. The Center will soon introduce the latest in medical flight board technology, enabling your family and loved ones to track your progress throughout your surgical procedure. Your family will receive a private reference number to follow your path from pre-op to surgery to post-op, using an electronic display board located in the waiting room. For nearly 15 years, Hackensack University Medical Center has provided outpatient procedures at the Center for Ambulatory Surgery. More than just a surgery center, you have literally an entire “hospital of hospitals” at your disposal in the unlikely event that complications should arise. You and your family can relax with the peace-of-mind of knowing that you are being cared for in “One of America’s Top 50 Hospitals” as ranked by U.S. News & World Report. The Hospital has also received the HealthGrades General Surgery Excellence Award™.